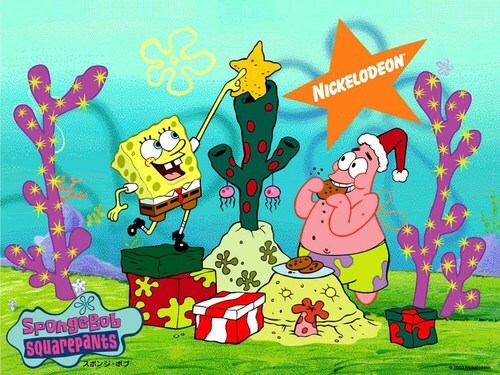 natal SpongeBob. Aww, it's a japanese one. HD Wallpaper and background images in the bob esponja calça quadrada club tagged: spongebob squarepants patrick santa christmas wallpaper. I HATE YOU SPONGW BOB I WISH THEY SHOW A EPISODE WHERE SPONGEBOB AND THE GAND GET MURDERED BY DENNIS MUHAHAHAAHAHAHAHAHAHAAHAHAHAHAHA MWHAHAHAHA!!!!! I LOVE THIS PICTURE SPONGEBOB N PATRICK ARE THE BESTES FRIEND EVEN WHEN THEY ARGUE N CAVZYO U CAN GO N BURN IN HELL LIKE HE SAID!! cavzyo,go to hell if u dont like spongebob. I LOVE this picture! SOOOOOOOOOOOOOOOOOOOOOOO awesome! VERY CUTE LOVE SPONGEBOB FOREVER!!!!!!!!!!!!!!!!! !